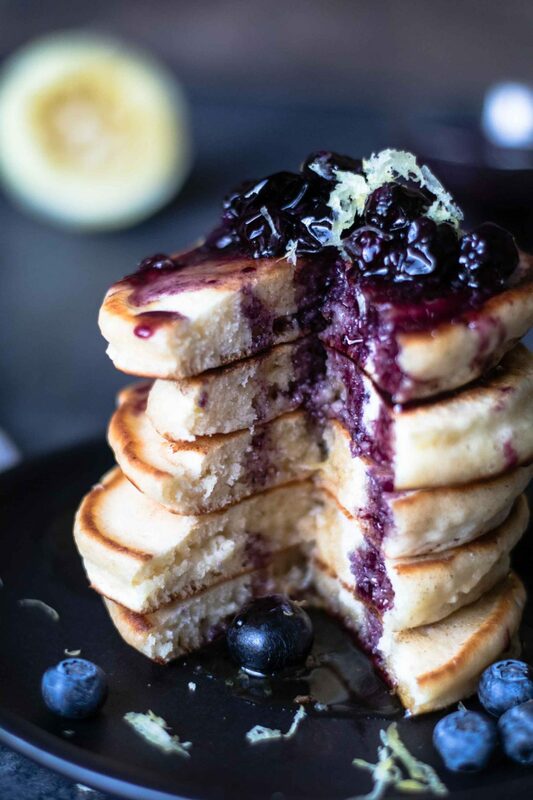 Lemon Soufflé Pancakes with Blueberry Maple Syrup – a pancake recipe you CANNOT miss out on! Pancakes are always so comforting and remind me of home and weekend mornings. 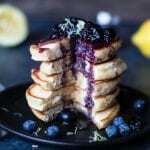 My mom is the master of buttermilk pancakes, and when we stumbled across this recipe we HAD to make it. I think most people would agree with me about loving a fluffy pancake…and boy are these fluffy. There is something magical about adding buttermilk into pancakes that makes little pillows of heaven. 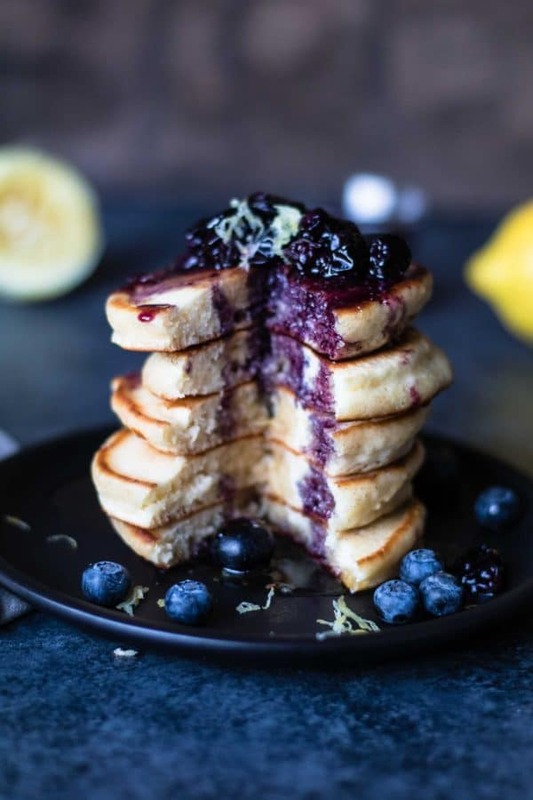 Then adding in the slight flavor of lemon with a sweetness of blueberry makes for a perfect pancake. You might be thinking…pancakes are fattening and not a smart breakfast option. Well, try not to make these pancakes the star of your meal. Enjoy 1-2 with some fresh fruit and a boiled egg. Balance out your meal instead of making pancakes the entire breakfast. Also, try your best not to skip out on breakfast! Studies show breakfast eaters have a healthier weight/lower BMI (body mass index), more energy, and an enhanced performance. Some feel eating breakfast is such a chore, but the main point of eating something in the morning is to “break the fast.” You have just slept for maybe 7 hours and your body needs fuel to get going. 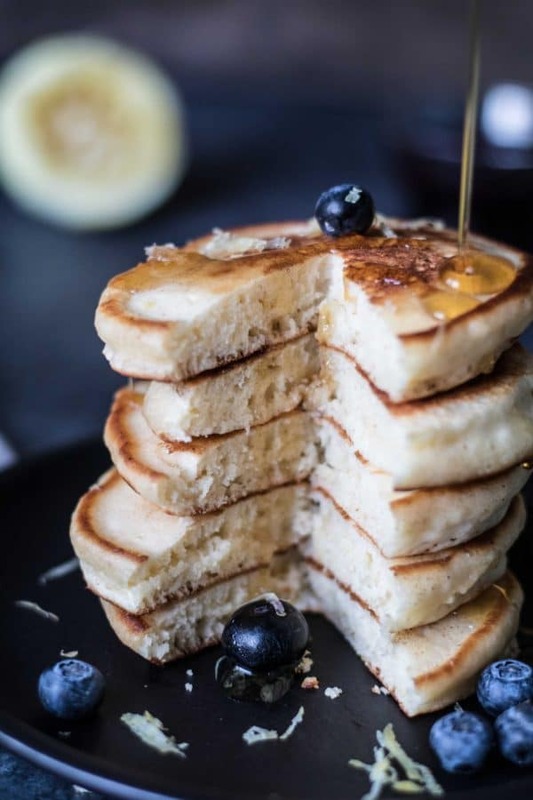 Back to the pancakes…you must try these out! I could not resist munching on these blueberries when making these. So fresh and flavorful! Not to mention they are loaded with antioxidants and are heart healthy. I made this recipe back in March 2015 and remade it in Aug 2017 to retake the photos. Hope you enjoy! The ultimate pancake recipe. 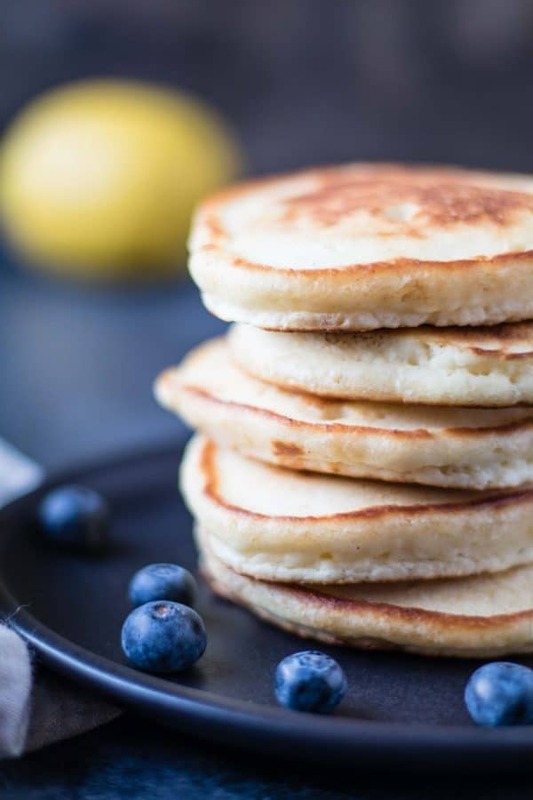 Once you've had these, you won't want a pancake any other way! In a large bowl, mix flour, sugar, baking soda and power, and salt. In a small bowl, whisk together egg yolks, buttermilk, milk, lemon peel, lemon juice, vanilla and 2 Tbsp. butter. In a mixer on high speed, whip egg whites until they form peaks. Pour buttermilk mixture into flour mixture; stir to blend. Add egg whites and fold in gently. In a large frying pan over medium heat, pour batter into size of pancake you prefer (I use ~1/4cup). Cook until golden brown on each side. In a saucepan over medium heat make the blueberry sauce: combine 2 Tbsp. butter, syrup and blueberries. Heat for about 3 minutes. May sub the buttermilk with 1 1/4 cup Greek yogurt + 1/3 cup milk if you do not have buttermilk on hand. How do you like incorporating blueberries into your breakfast? 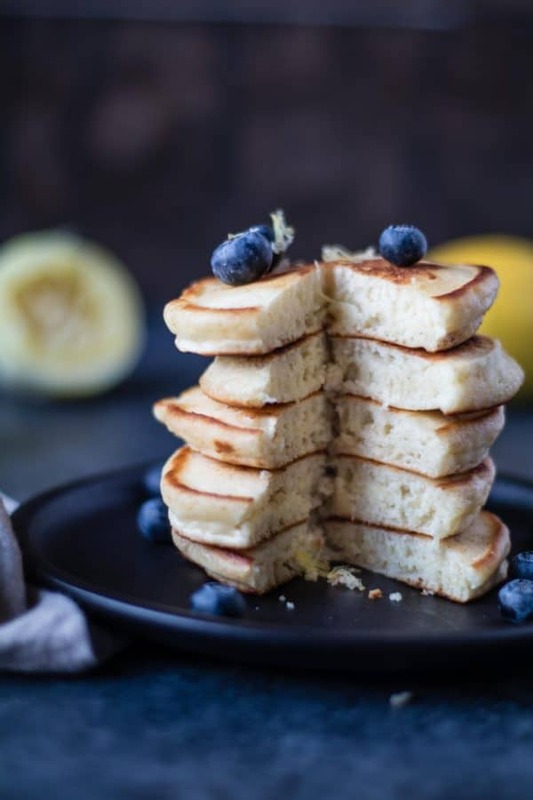 Can’t go wrong with pancakes on the weekend – probably my favourite breakfast! I like to put my blueberries in the pancake batter and then serve with greek yoghurt on the side, but like your idea of making a sauce! These are so fluffy looking! YUMMY! These pancakes would make an awesome holiday breakfast!